Courtney Brown is a mathematician and social scientist who teaches in the Department of Political Science at Emory University in Atlanta, Georgia. Independent of his work at the university, he is also the leading scholar on the subject of "remote viewing" as it is done using procedures that were developed by the United States military and used for espionage purposes, or procedures that are derivative of those methodologies. Academic Background: Courtney Brown received his Ph.D. degree from Washington University (St. Louis) in 1982 in political science with an emphasis on mathematical modeling. He began his teaching career as a college calculus instructor in Africa before moving on to teach nonlinear differential and difference equation modeling in the social sciences at the University of California at Los Angeles, Emory University, and the Inter-university Consortium for Political and Social Research Summer Program at the University of Michigan. He has published numerous books on applied nonlinear mathematical modeling in the social sciences, including two new volumes, one on applied differential equation systems (2007) and another on graph algebra (2008), a new graphical language used for modeling systems. 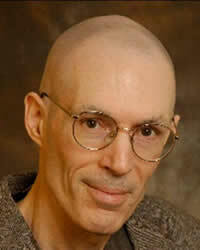 Remote-Viewing Background: Dr. Brown is the Director and founder of The Farsight Institute (www.farsight.org), a nonprofit research and educational organization dedicated to the study of a phenomenon of nonlocal consciousness known as "remote viewing." He has published peer-reviewed research on this subject in premier scientific outlets, and has spoken spoken internationally at a host of prestigious venues, including various universities, as well as at respected gatherings of physicists. His recently published book on the subject, Remote Viewing: The Science and Theory of Nonphysical Perception, is the only book of its kind where the science of remote viewing is developed with respect to highly structured data-collection methodologies. In this book he analyzes data and develops a new theory that explains the remote-viewing phenomenon as a consequence of superposition formation on the quantum level. Other Activities: Finally, he has long been active in performance and theater. He sings regularly in the Atlanta area as a baritone soloist of sacred music, and some of his recordings are commonly heard both in the United States and Africa. He has acted in lead roles in a number of television series and films in the United States and Africa. Courtney Brown is an active videographer and author, producing a number of DVDs and a science fiction web series dealing with the subjects of remote viewing and extraterrestrial life. He has also written two best selling speculative nonfiction books on these subjects. Dr. Brown also has an interest in political music, and has recently published a book on the subject. Courtney Brown is also an digital and traditional artist. He is particularly known for his alien figure drawing. The Remote Viewing protocols that were developed at the Farsight Institute by Brown and others are typically rated among the least reliable protocols, because they are the least objective. They allow, e.g., for 'deductions,' which in other Remote Viewing methodologies would be considered 'Analytical Overlays' and therefore subjective, mental interference. Brown also has a tendency to be rather speculative in the interpretation of the raw data that are viewed.